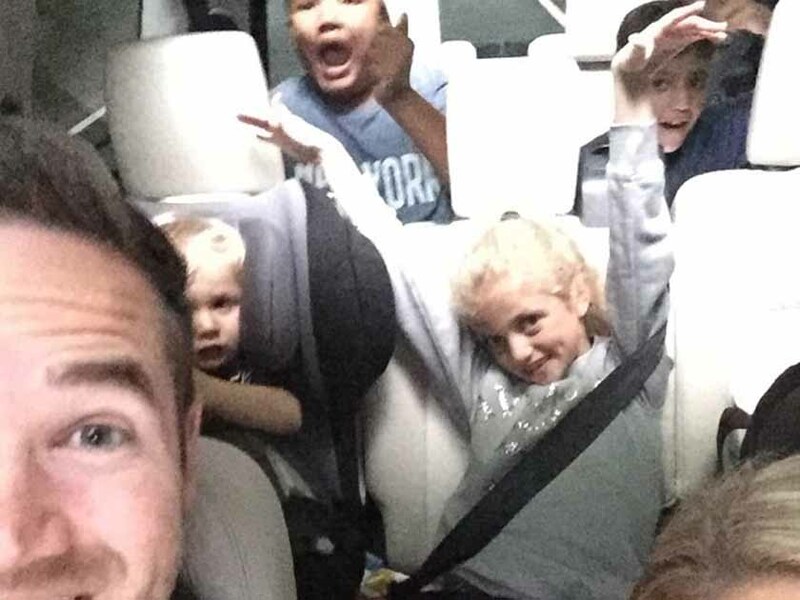 It’s a good job Katie Price has a big car because her and husband Kieran Hayler took all the kids on a road trip for a family day out on Saturday and they look like they had the BEST TIME EVER! And how can we tell that they enjoyed their day? Well because all the kids were zonked out after. CUTE. 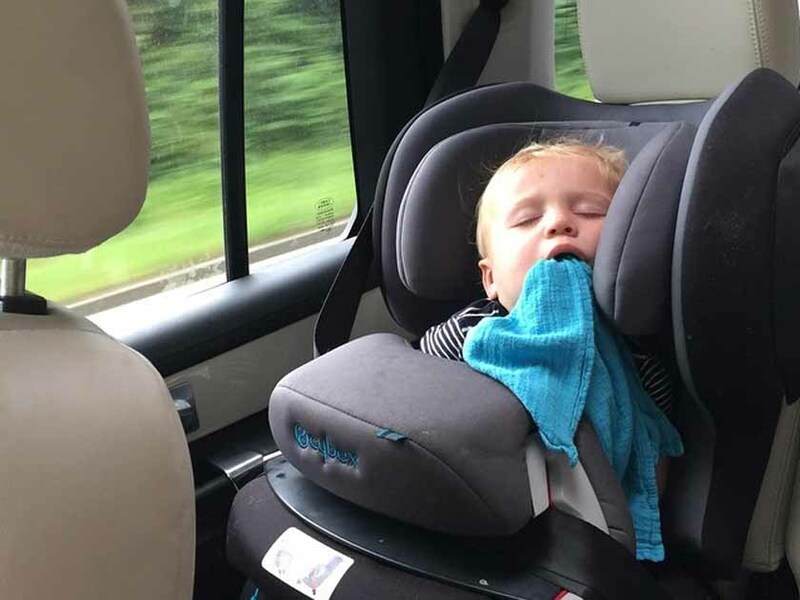 Katie shared the first picture of her family day trip on Instagram of her youngest son, Jett, fast asleep in his car seat, mouth wide open! ‘Jet catching flys haha’, Katie comically wrote. Let’s hope he’s inherited that trait from Kieran, not Katie! 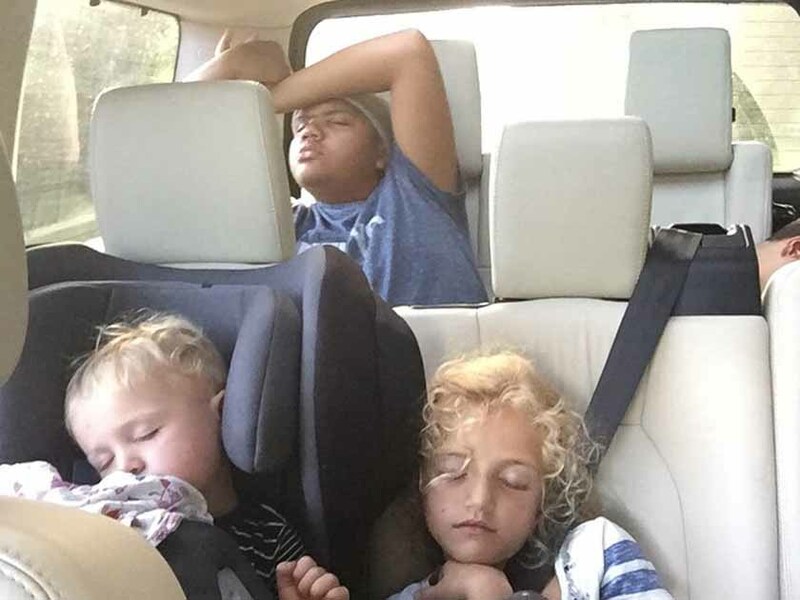 The mum-of-five then posted a snap of her, Kieran and all the kids, Harvey, Junior, Princess, Jett and Bunny all excited about the day ahead. ‘Road Trip,’ she wrote. This isn’t the first peek into Katie’s adorable family we’ve seen, as she regularly uploads snaps of her children playing together on the family farm in Sussex, which they moved into after it emerged Kieran had cheated on Katie with her two best friends. Katie was also pictured this week at Claridge’s with her husband Kieran, who she married in 2013, to attend the do to launch Richard Desmond’s book The Real Deal alongside stars such as Vernon Kay, Tess Daly and model David Gandy. Earlier this month Katie joined us at out Now Summer Party where she debuted her new blonde hair and said she loved her new look. So it surprised us that the business woman went back lighter particularly as she said in the past that she isn’t a fan of having blonde hair. ‘When I want to go blonde I always get the wrong blonde, I’ve never had one I like,’ she said. ‘Then when I look at pictures of myself, I like my hair dark, but when I had it dark last time I was pregnant, I didn’t like it. I just don’t know what I like at the moment. ‘There’s lots of times I’ve been unhappy with my colour, and that’s why my hair got wrecked, because I wanted to change it all the time and it broke off.’Well you’re certainly looking great at the mo, KP! Katie Price duets with son, Harvey and it’s the cutest thing EVER!